Revolax Sub-Q with Lidocaine is a high-viscosity dermal filler that is used to treat deep and severe wrinkles, such as nasolabial folds, and to add definition to the contours of facial elements, such as the nose, chin, and cheek. This skin filler is made of modified and highly purified hyaluronic acid of non-animal origin and also contains a small amount of lidocaine to reduce needle pain. Revolax Sub-Q with Lidocaine possesses the highest volumizing properties out of all the dermal fillers in the Revolax line and is suitable for deeper placement in the subcutaneous layer. As a monophasic filler, this product contains highly cross-linked hyaluronic acid and does not have any linear hyaluronic acid, thus increasing the stability and longevity of results. Revolax Sub-Q with Lidocaine is injected into facial skin to volumize soft tissue via the water-retaining abilities of hyaluronic acid. When implanted into dermal tissue, hyaluronic acid attracts and binds to water molecules, which in turn creates facial volume at the treated site(s). In addition, the product is highly viscoelastic, so as to reduce the chances of product migration and to enable the filler to resist intradermal deformation and degradation. Taken together, these properties make Revolax Sub-Q with Lidocaine an ideal treatment for substantial facial volume loss and for the enhancement or redefinition of facial contours of the cheeks, nose, and chin. The addition of lidocaine makes treatment a comfortable experience for the patient. 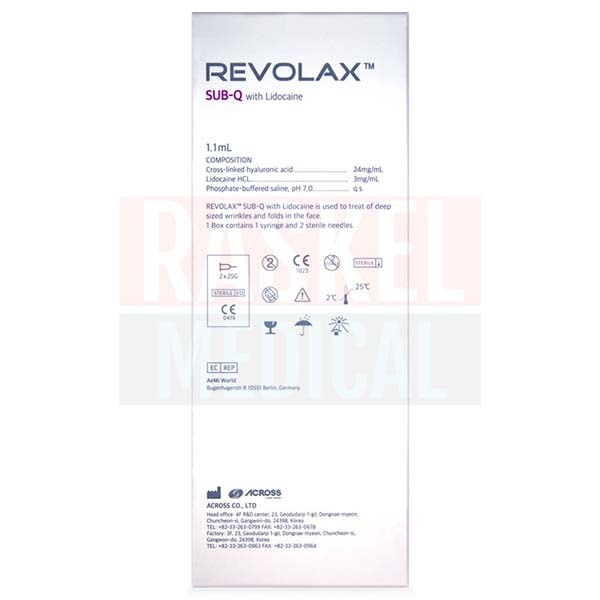 Revolax Sub-Q with Lidocaine is manufactured by Across Corporation, a South Korean pharmaceutical company. 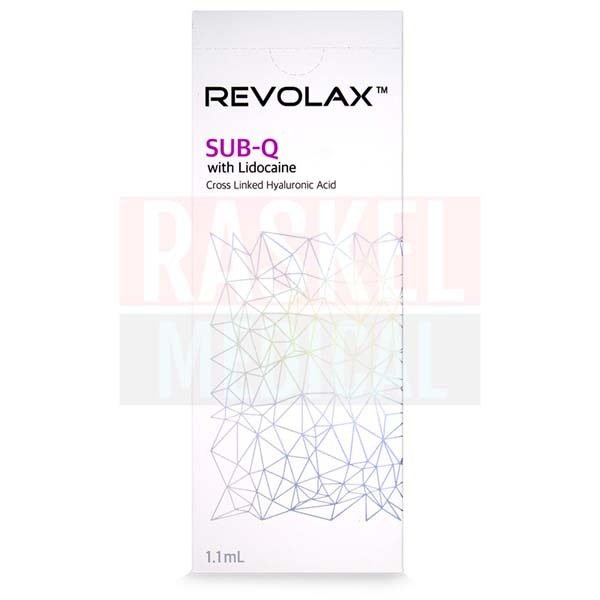 Revolax Sub-Q with Lidocaine originates from South Korea. The procedure is expected to result in some reactions associated with the dermal injection procedure; these can include temporary bruising, redness, swelling, and pain at the site of injection. These effects are typically short-lived and should subside within a week. If these symptoms continue or worsen, the patient should seek the guidance of a doctor. While hyaluronic acid fillers are generally regarded as very safe for use, certain patients are not suitable for treatment. These include patients with a known history of hypersensitivity to hyaluronic acid or lidocaine, those who tend to develop hypertrophic scarring, individuals under 18 years of age, and women who are pregnant or lactating. To minimize the likelihood of infection, do not inject Revolax Sub-Q with Lidocaine in areas that have active infections or inflammation. Also, this procedure should not be carried out in patients who have just undergone laser therapy, dermabrasion, or chemical peeling treatment. 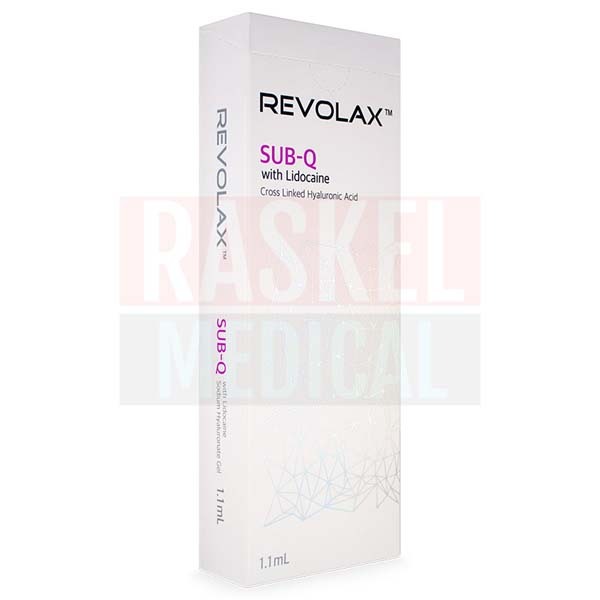 Revolax Sub-Q with Lidocaine is suitable for all skin types, as the material is non-immunogenic and well-tolerated. The hyaluronic acid used in Revolax products is of non-animal origin, thus negating the need for allergy testing. The differences between the products in the Revolax line? The Revolax line of dermal fillers also include Revolax Fine with Lidocaine, which is treats fine and superficial lines, and Revolax Deep with Lidocaine, which treats moderate to deep lines and can be used for augmentation. Administration of Revolax Sub-Q with Lidocaine via dermal injection should only be performed by a qualified medical practitioner with specific knowledge in the injection techniques used for soft tissue augmentation. The injection session consists of a consultation session, where the treatment is planned, and putative injection site are marked. Then, the face filler is injected into the deep subcutaneous layer through the use of a 25G needle and the appropriate injection technique. Inject the material slowly whilst applying even pressure in order to avoid adverse events. Do not overcorrect. After the injection, the treated area should be massaged in order to ensure even distribution of the product. This skin filler is made of 24mg/ml of highly purified, cross-linked hyaluronic acid derived from Streptococcus zooepidemicus. The unique manufacturing process that is used to make this product ensures that it has a monophasic structure and dense and uniform pattern. These unique features of this product result in a homogenized and very smooth gel that seamlessly incorporates with the surrounding tissues for natural-looking results. There is little to no free hyaluronic acid in this product, ensuring longevity of the gel. Patients can expect the benefits of a Revolax Sub-Q with Lidocaine treatment to last around 12–18 months; however, this is contingent upon numerous factors, including the patient’s intrinsic rate of metabolizing hyaluronic acid, their skin type, their lifestyle, the volume of filler injected, and the facial area that was treated. The effects of this filler are impermanent; therefore, patients will need to undergo repeat treatments around once a year in order to maintain the effects of this filler. 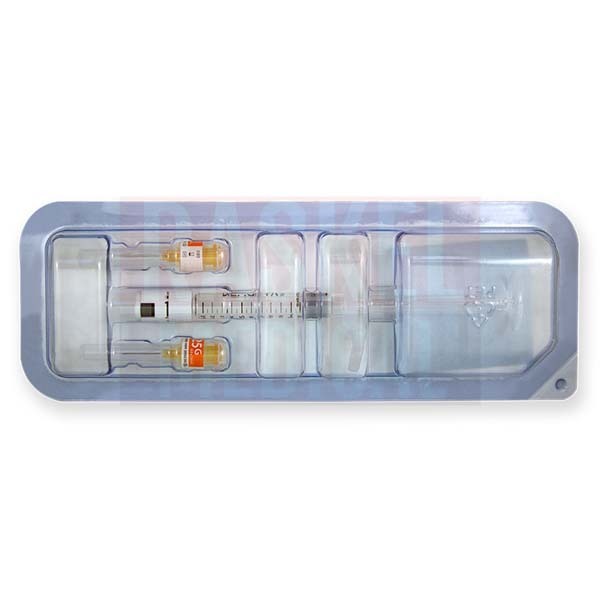 Store Revolax Sub-Q with Lidocaine at 2–25°C. Keep it out of sunlight. The shelf life of this product is 24 months from the date of manufacture.